Football never sleeps and neither does Daniel Levy, as once again a busy summer of transfer activity is underway. With the news breaking that Harry Kane has committed his future to Spurs for the next six years and confirmation a couple of weeks ago that head coach Mauricio Pochettino signed a five-year contract extension, the future is looking pretty rosy. Now the clubs two prized assets are firmly locked down, Levy and co and get to work on the next phase of the ‘project’ and adding to an already talented squad ahead of a crucial season for the Lilywhites as the new White Hart Lane beckons and a trophy must follow. We look at some of the names heavily linked with a move to North London and the likelihood of the transfer occurring. Aston Villa’s talented midfielder is in high demand and high on a number of clubs Wishlist’s including Premier League rivals Newcastle. However, the Villans have been making the headlines for all the wrong reasons this week falling foul of the HMRC meaning a selling their best assets such as Grealish is a must. Spurs are set to test Villa’s resolve with a £40m bid which will likely end any hope the Magpies had of signing the 22-year-old and although Villa may hold out for a couple of million more, expect Levy to show no sympathy to Villa’s plight and get his man at the price he wants. Winger Zaha single-handily dragged Palace out of relegation woe this season and that has made the 25-year-old hot property. However, it seems that Palace refuse to be budged on a £70m estimation for the Ivory Coast man and that looks set to end any hope of a transfer. 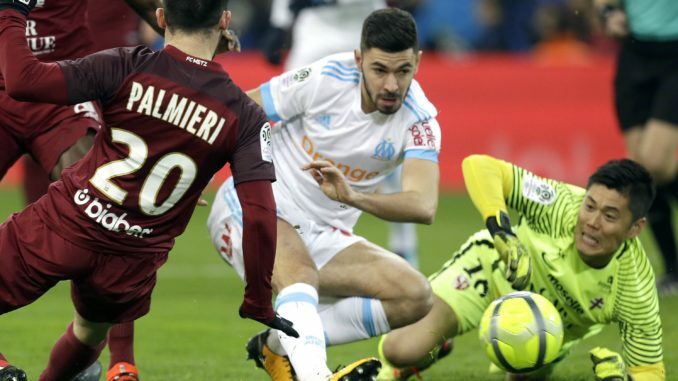 Another day and another midfielder linked to Tottenham with Marseille’s Frenchman Morgan Sanson the next man up. Sanson’s agent has reported that Arsenal have been following the 23-year-old closely but rumours have it Unai Emery has made no move opening the door for Spurs to step in early. Sevilla and Valencia have reported to have shown an interest, but only a fleeting one leaving Tottenham in pole position. Sanson has made fifty league appearances for Marseille scoring ten times making him a valuable central commodity and a useful addition to Pochettino’s squad. Sanson could prove to be just the squad player Spurs need in order to make a push for the title next season.